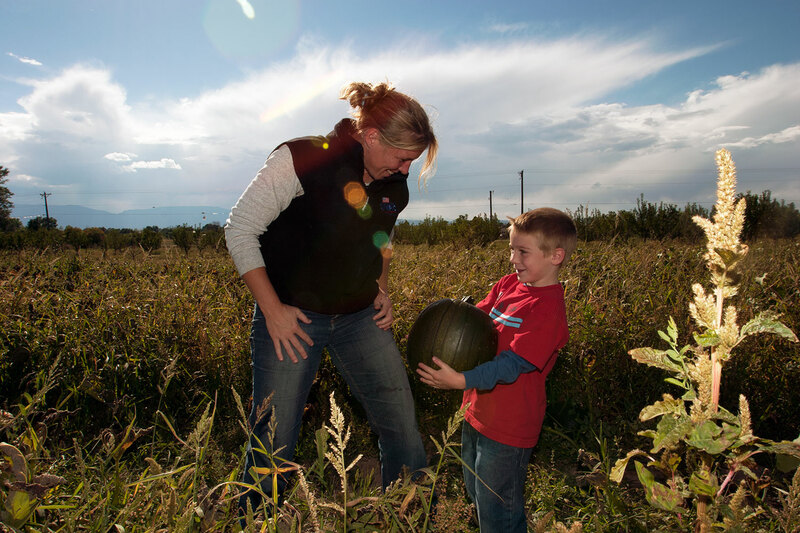 When harvest season nears, Colorado’s farms swing open their gates for fall fun in the fields. Load up the whole family for wallet-friendly learnin’, pickin’ and eatin’ — all the while supporting local growers and businesses. 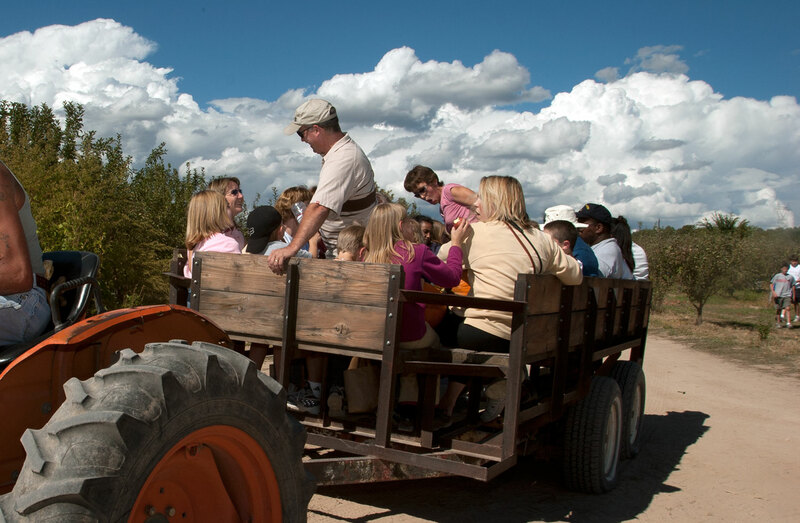 Below are a few examples of things to see and do on Colorado’s most fertile lands. For information on other options around the state, check out Colorado Roots, fall-color drives on scenic byways and farm and ranch activities. Create your own farm-to-table menu with a visit to the many farms that are eager to teach people about agriculture this fall. You can choose (and taste!) your produce right from the source for a farm-fresh meal. Aloha Organic Fruit, Palisade: Learn the differences between conventional and organic farming as you stroll Aloha’s peach orchards, see how water is brought to the trees from the Colorado River and shop the farm store. Jumpin’ Good Goat Dairy, Buena Vista: Walk through the dairy’s facilities, spend some time with their happy goats, taste all sorts of cheese, watch the busy cheese-making staff at work and even try your hand at milking. Two working farm museums take you back in time for a peek into Colorado’s farming history: Timberlane Farm Museum in Loveland and the Littleton Museum in Littleton. Berry Patch Farms, Brighton: Fall crops like apples, beets, carrots, garlic, onions, squash, pumpkins and peppers are ripe and ready. Meet the farm’s chickens, ducks and two cute pigs named Bacon Bits and Pancetta. Take in the splendor of southwest Colorado’s high-desert topography while you see how farmers live and taste the area’s flavors on a Mesa Verde Farm and Ranch Tour hosted by the Cortez Cultural Center. Excursions include transportation to multiple sites, a guided tour, lunch and a tasting of craft beverages from local breweries and wineries. The harvest season beings plenty of opportunities for farm fun. Pumpkin picking, hayrides, mazes and other activities make for the perfect fall day. 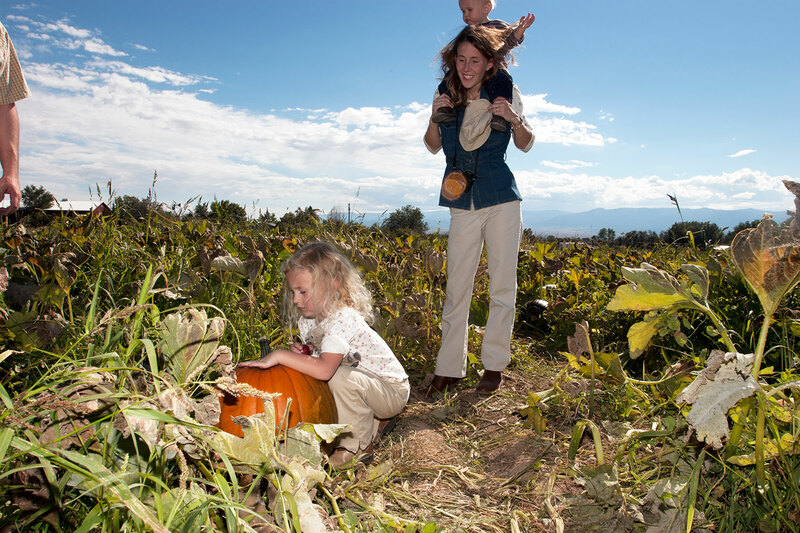 Cottonwood Farm, Boulder: Tackle straw-bale and corn mazes, take a wagon ride, decorate a gourd and pick a perfect pumpkin. Denver Botanic Gardens at Chatfield Farms, Littleton: The gardens’ massive corn maze twists and turns across eight acres, with a mini-maze for smaller kids and great bird watching opportunities. 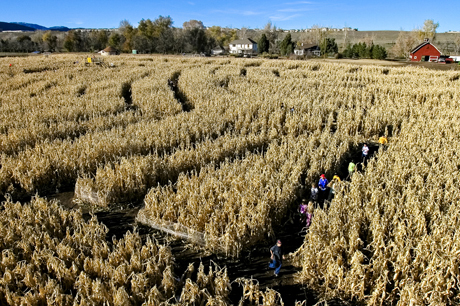 Fritzler’s Corn Maize, near Greeley: More than just a maze, Fritzler’s delights with a mini-rollercoaster ride, pillow jump, duck races, pumpkin canons, go-carts and a haunted maze at night. Miller Farms, Platteville: Harvest potatoes, carrots and other vegetables, take a hayride through 180 acres of field, have a picnic and taste some delicious snacks. Anderson Farms, Erie: One of Colorado's longest running corn mazes and U-pick pumpkin patches also features a zombie paintball hunt, gourd launching and much more. Colon Orchards and Diana's Pumpkin Patch Corn Maze, both in Cañon City: Two corn mazes, hayrides and pumpkin picking in the heart of the Arkansas River Valley at Colon Orchards; a maze, s'mores and hot cider on Friday and Saturday evenings and paint balloon wars at Diana's. Studts Pumpkin Patch, Grand Junction: Day and night mazes, pumpkin jumps, haunted house and many other family activities. Weathers Family Farms: Weekends in October, this farm in Yuma has a corn maze with a different theme and layout each year. There are also photo opportunities, a pumpkin patch and plenty of cattle wandering around.